What's this "balance" thing all about? 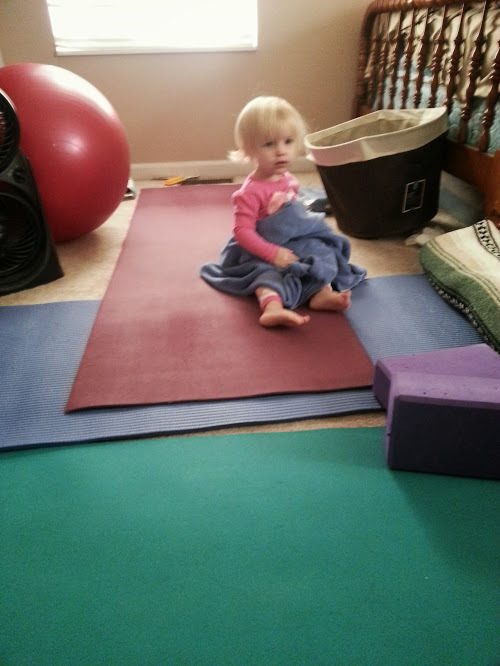 Morning yoga is the best. I should do that more. And also become a morning person so I can do that more. Cheescake Factory isn’t worth the wait. Waiting for the Cheescake Factory while shopping in H&M is totally worth it. 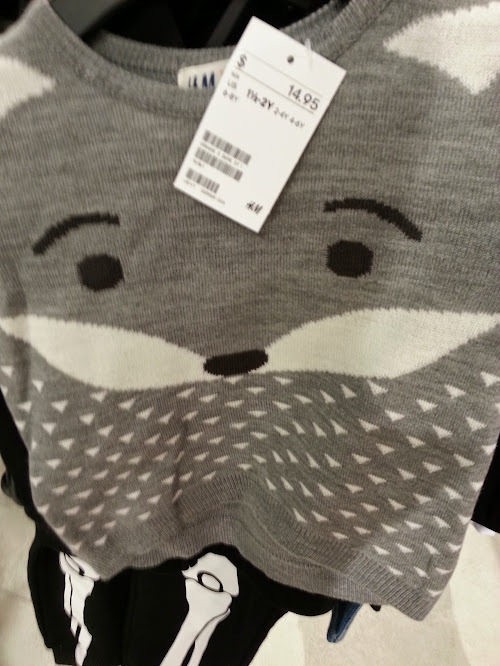 Stella got the cutest sweater of all time at H&M. I got nothing. 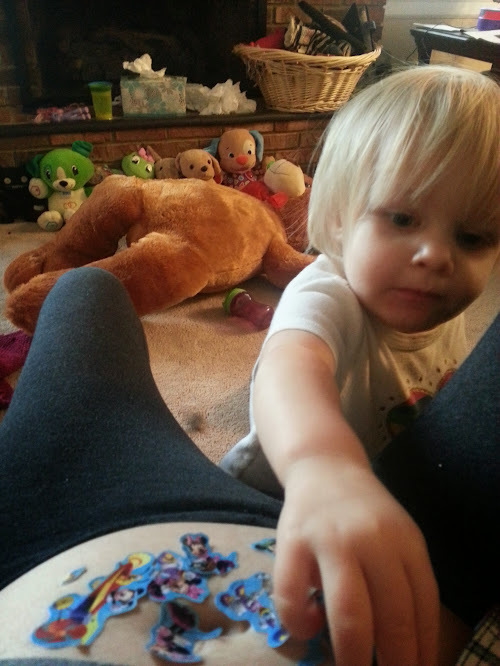 Because this location doesn’t have a maternity section. I’m happy-sad about that. My wallet is just happy about it. The mall is a great place to wander around/get exercise when it’s really cold and you have a toddler. I feel super lame for writing that last bullet point. Sticking stickers on your sister’s temporary home is the most fun. Knitting buttonholes is hard. I’ve already ripped that section out and redone it twice. Third times a charm, right? 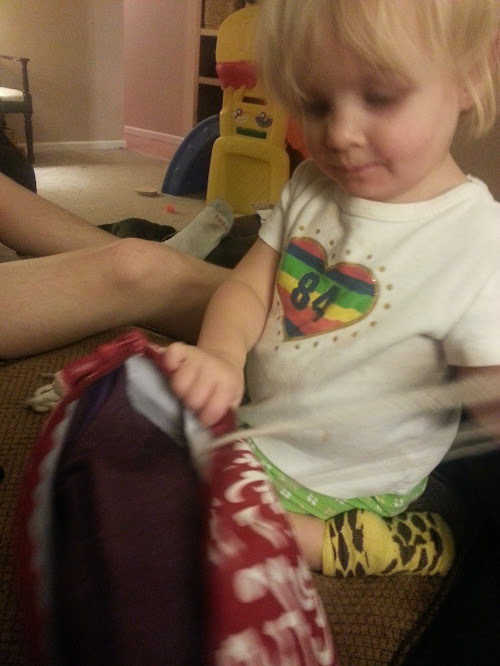 Toddlers love yarn. Much like kittens. Birth planning is exciting. Had a great meeting with my doula tonight and suddenly everything seems very real. Yay winter! We’re likely to get our first winter storm late tonight/early tomorrow morning and I’m so excited! Snow is my favorite weather. I know I’m in the minority on this one, but I really do love snow. This could be because I really love staying home and ignoring reality… which is what I’m doing today. We got our first measureable snow here in Lexington on Friday night and I’m definitely taking advantage of it to excuse my laziness. Yesterday I did a lot of tea drinking and yoga and knitting and TV watching. Today, I plan to do just about the same thing… only I’m going to add some reading into the mix. Good tea and a good book. Hope you’re enjoying your snow day just as much as I am! It’s that time of year again! And I don’t just mean the holidays. Nope. It’s that time of year when the desire to get out and help others collides with the instinctive urge to find a warm, cozy spot and just stay there until spring. I don’t know why this has actually never occured to me before, but there is a way to do both! If you’re interested, click over to knitty and find a way to help out! Remember how I just started my first baby project? Yeah. I already finished it! And, I’m so excited! It’s so cute and little. 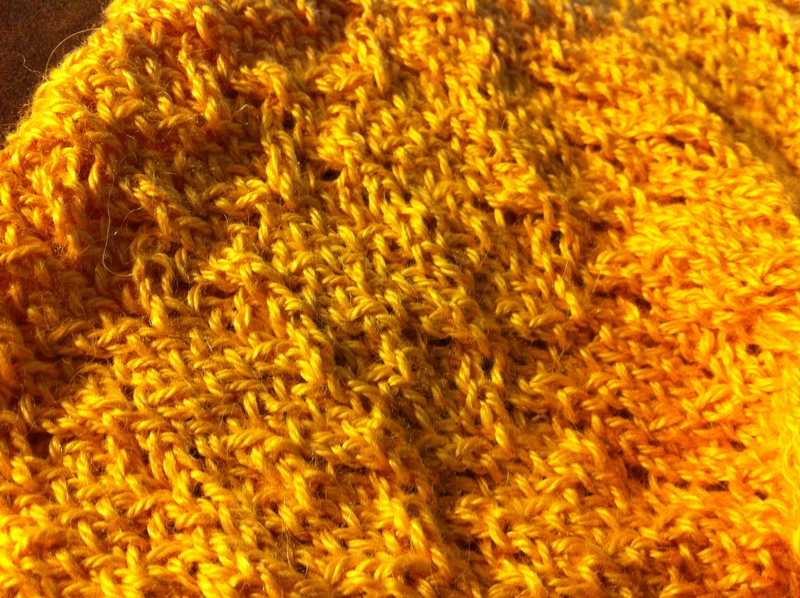 This pattern was very easy, didn’t use up all of that particular yarn, and was, obviously, quick. 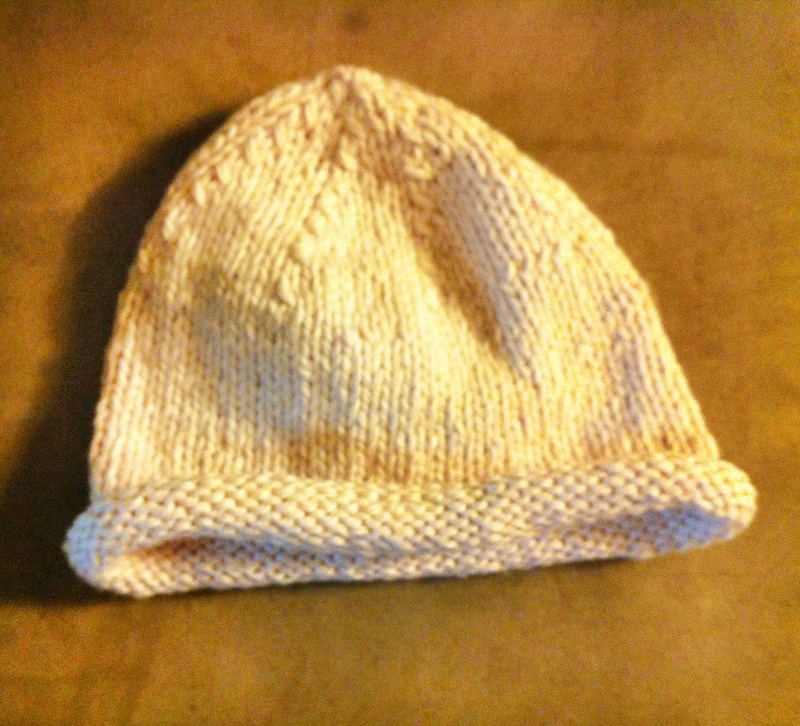 In fact, this was so easy I’ll probably make a duplicate hat with the extra yarn. Check out my ravelry project page for more details. Knitting season is upon us! I love fall. I’m sure I’ve mentioned this before, but it can’t be said enough. Fall is my favorite season (with winter being a close second). I mean, I don’t hate spring and summer. I just prefer being cozy and a bit chilly to feeling damp and/or unbearably hot at all times. As an added bonus, fall is when I really get into my knitting groove. This year I’m knitting most, if not all, of my Christmas presents. (Sorry for ruining the surprise, friends and family…) I know. I’ve been saying this for years. But this year is different. Yes, I know I’ve said that before too. But really. This year I’m organized. 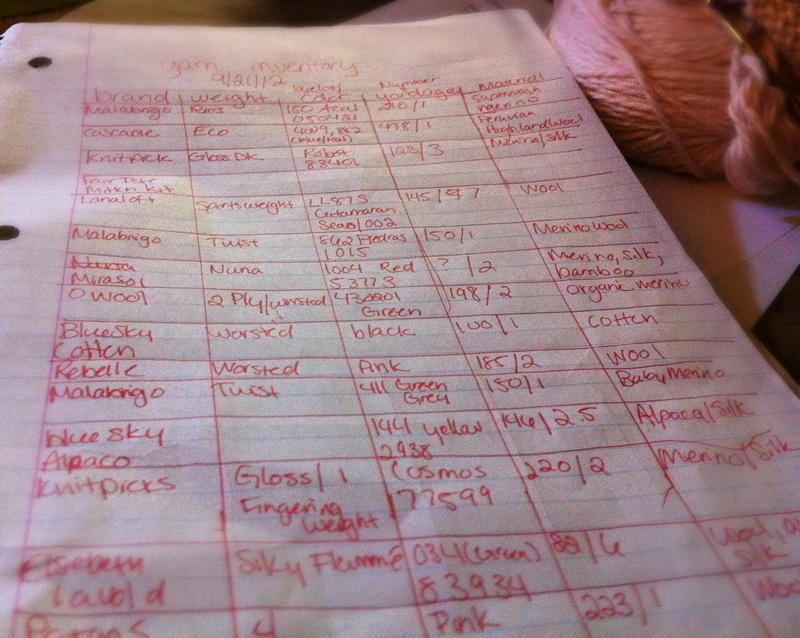 Maybe this is some misplaced nesting instinct, but last night I sat down planned out all my Christmas knitting projects AND organized and indexed my yarn. Yeah. I feel accomplished. That’s what you were thinking when you read that, right? That I’m super accomplished at organizing and not that I probably having some weird manifestation of OCD relating to yarn? What did I learn from this exercise? I have a ton of yarn. And that I need to start knitting Christmas projects immediately. And that when I finish those knitting projects, I’ll probably love them so much that I won’t want to actually give them to anyone. Oh well. We’ll tackle that problem when it comes up. 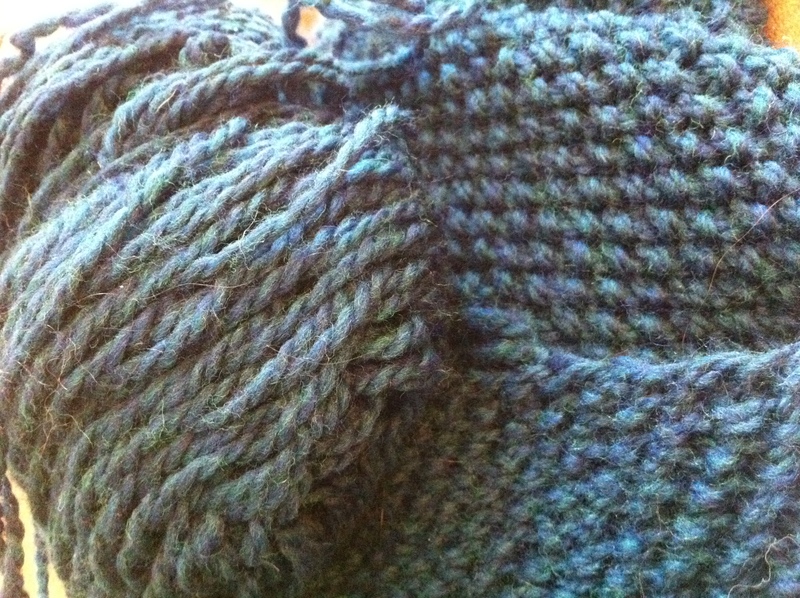 As for the start knitting right away issue, I did. After I finished all my planning, organizing, and cataloging, I picked up my needles, turned on Clueless (best.movie.ever), and started knitting. But it wasn’t a Christmas project. This is my first baby project. 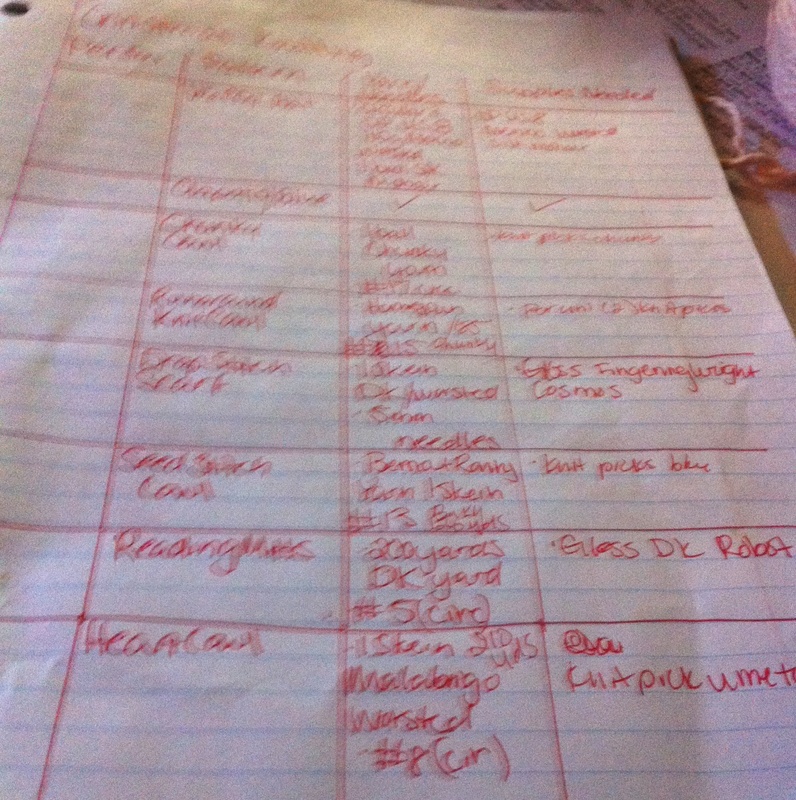 And, yes, I made a baby knitting project list too… So, it will not be the last baby project. But I’m super excited about it. Making baby things is so fun because they knit up so quickly. So quickly, that I should be able to finish it today and post an updated photo tomorrow! As I mentioned earlier this week, it’s been a rough few days for me and my family. On that subject, thanks so much to everyone who offered their support. 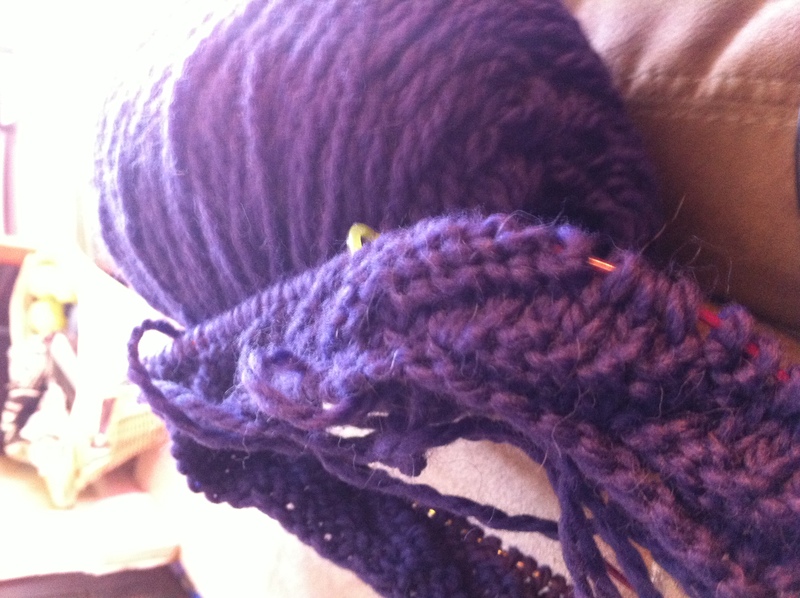 I’ve been dealing with the stress in various ways, running, ignoring the situation, and knitting. 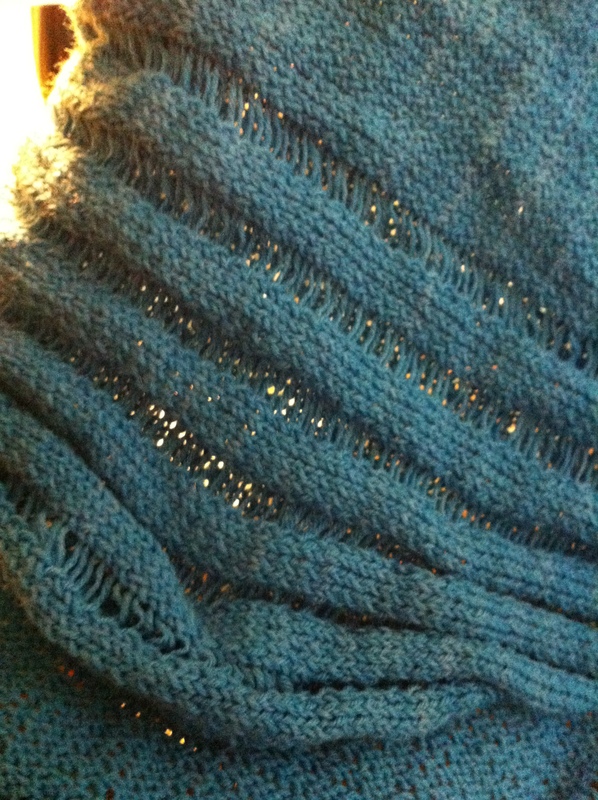 It’s hard to share evidence of how much I’ve been running, but it’s pretty easy to show you my knitting progress. For most of the week I’ve been working on this Clapotis pattern from knitty. It’s super easy and doesn’t really require that much attention, so it’s good for situations when you might have to toss it to the side to grab an infant who’s trying to crawl out the front door or hug someone. Those are, of course, completely non-specific examples. This is my second time with this pattern and, after running out of yarn while sick knitting during my pneumonia convalescence, I made sure that I got more yardage than I needed for the pattern. Great idea. Except apparently this yarn is shrinking as I knit it because now I’m not even halfway through and almost finished with my entire stash of this color. So, I’ve spent the morning scouring the internet for a discontinued yarn color. I’ve found exactly two stores on the entire internet that have it. Geez. Since I’m basically out of yarn for the Clapotis until reinforcements arrive, I’m also working on a Cat’s Paw Lace wrap. If you recognize this project, it’s because I’ve been working on it since April 2011. That’s right. I’ve been working on it for an entire year. Basically this project has been the bane of my existence for a year. Since it’s lace I can’t work on it anytime that I need to talk to people or pay attention to anything other than knitting. So basically, it’s been impossible to finish this project. Good news, though, I think I’m going to be finished with it soon! 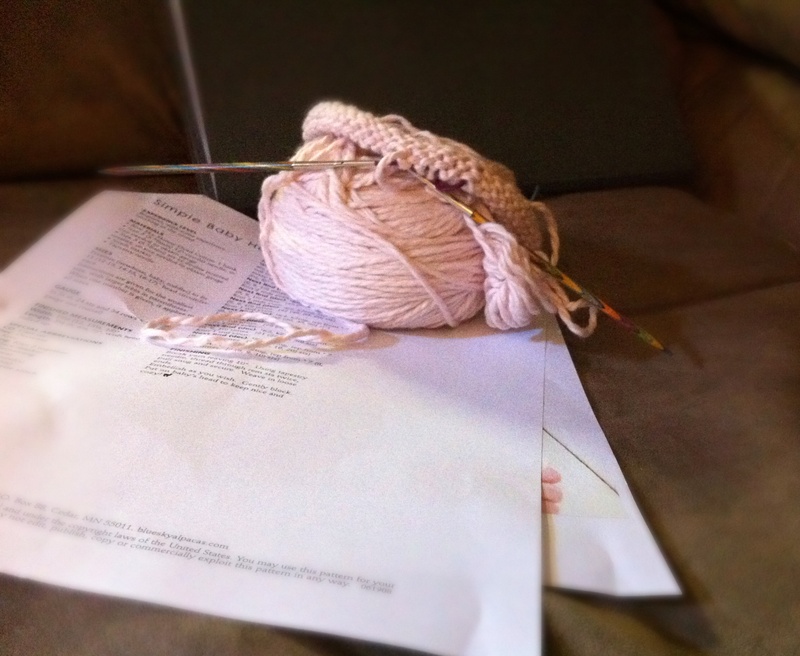 For now, those are the only things I have on my needles. Of course, depending on when the yarn reinforcements arrive or when my need for the calming power of knitting fades, that could change. Thanks again for all the kind thoughts and words. I’ve made a LOT of progress since I took this picture and expect to finish it up shortly. I feel like I’ve been working on this FOREVER. Literally, forever. I may never finish it. What have you got going right now? Got something you want to say but don't want to comment?